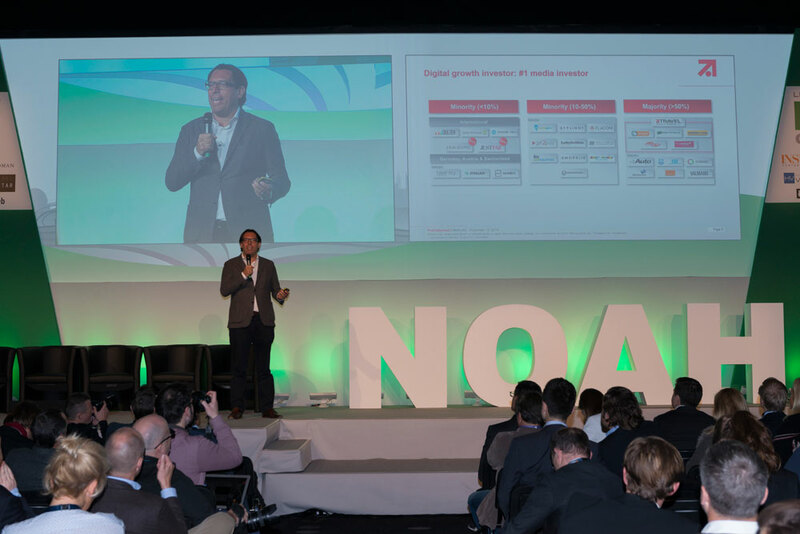 Media companies from across Europa will nominate and award start-ups at the NOAH Conference in London (November 12, 2015). Founders of German start-ups can still apply at www.sevenventures.de/7vpd for the challenge until October 26, 2015. The SevenVentures Pitch Day (7VPD) is going into its fourth round with a new concept: For the first time, five European media companies will nominate their own start-up candidates. The start-up contest established by ProSiebenSat.1’s subsidiary SevenVentures has been held in connection with the NOAH Conference in London since 2012. This year, TV companies Channel4 (UK), TF1 (France), TVN (Poland) and Antenna Group (Greece), plus ProSiebenSat.1 will each nominate one start-up from their region to vie for the title of first “Venture of Europe.” The winner will receive a marketing package worth several million euros of media time on the TV stations of ProSiebenSat.1. The winner will receive additional support in the creation of advertising campaigns, in the optimal management of spots, and ongoing optimization through the use of media analytics. From now until October 26, 2015, start-ups from the German-speaking countries can still apply for participation in the 7VPD at www.sevenventures.de/7vpd. The contest has already been held three times in London, once in Tel Aviv, and once in Berlin. Prior winners include Busuu, Cashboard and GetYourGuide. You can also follow 7VPD on Facebook and Twitter.